Sumo makes choosing the right solar system easy. Many households start the process of switching to Solar energy but find it challenging to navigate through confusing and cluttered market. We’d like to provide a straightforward source of information to get you through so that both your household and the environment can start benefiting. Whether you’re motivated by reducing your own fossil fuel footprint, or you’d like to earn money from your utility company, going Solar pays off. Take a look at how Solar will be advantageous to you and what we offer here at Sumo. Most people understand that a Solar system will save them money on their electricity bill because they are pulling less power from the grid while they are creating energy of their own from the sun. However, the savings go much farther than that. If you’re implementing energy saving tactics around your house and reducing your overall energy use, you may even produce excess energy from your Solar power than you use in your home. So, what happens to this excess energy? Sumo buys it back! 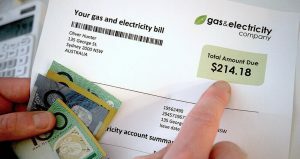 You can get paid from your power company for your excess energy. Not to mention, having a complete Solar system installed in your home is added value in the real estate market if you’re thinking of selling in the future. The panels installed on your roof operate by converting the sun’s light into electricity through semi-conducting material. The light particles excite the panel cells, usually silicon, and create a flow of energy, which is then converted into electricity. Not only is this an extremely reliable form of energy, it is also the cleanest. By using Solar for your home, you’re reducing not only your own carbon footprint, but also the damaging effect of fossil fuels, and contributing to cleaner air for your children and your community. Solar panels need the sun to convert light into usable energy, but that doesn’t mean your Solar system can’t power you through the night. Once sunlight is converted into electricity, it can then be stored in a battery pack to be used when it is dark. This means that you don’t stop saving money during the hours the panels aren’t receiving light. This is the entry-level product for anyone who wants to start saving money and reducing their impact, but doesn’t need anything beyond the basics. This affordable option still provides the installation, Wifi-monitoring, and a warranty, and only uses brands accredited by the Clean Energy Council (CEC). Enjoy extended warranties and enhanced reliability and efficiency, the Premium offer combines a European inverter with even higher quality solar modules to power your home. This is Sumo’s recommended starter solar solution. This is the option for any household that wants to jump right in and get the best that’s available on the Solar market. You’ll enjoy state-of-the-art solar micro-inverters to maximise your solar output. What happens when the sun goes down and your panels can no longer convert sunlight into electricity? The battery is available to store any excess power you generate during the day to keep you powered through the night. Not only do you reduce your dependence on the grid, you’ll stay powered through stormy days and even blackouts. We understand that getting your head around solar can quickly become complex and confusing. Sumo provides customers with local, Melbourne-based experts to walk you through the process. Our professionals will give you a simple visual diagram so you can get an idea of how the installed solar panels will fit into the aesthetic of your roof. You’ll also be provided with educated advice on the key areas to consider when making an investment in solar energy. 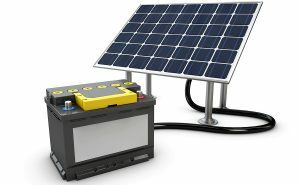 Every household has their own unique needs and desires when it comes to installing a solar system. Every package we offer is tailored to meet your home’s individual requirements so there are no surprises during your solar panel installation and is completely obligation free. At Sumo, it’s important to us that our customers receive only the best when it comes to their unique solar energy system. We only work with solar installers that are accredited by the Clean Energy Council to ensure your confidence in the safety, reliability, and of course the high quality of your personal solar panel system. Feeling ready to make the Solar Switch? Get in touch with our Solar Experts today.